The word “collective punishment” is nothing new to Kashmir as it has remained part of routine newspaper front pages for a very long time. What is new, however, is the word that was exclusively used by Kashmiri separatists has now been endorsed by the highest office on earth, the United Nations, its ‘toothless tiger’ image, notwithstanding. While the efficacy of the selective ban in virtual world could form the subject matter of a huge study, the Kashmir managers in Delhi and Srinagar walked the talk. They asked cable operators not to offer 32 TV channels to the subscribers. All these free to air channels are Pakistani and Saudis. These include various cookery and entertainment channels. Nobody in Srinagar applied mind on what the government was doing. More than 99 percent of the people can read Arabic but not understand it. Most of the people watch the Saudi channels either to watch live prayers being broadcast from holy Kabba or simply to hear the recitation of the Koran during the Muslim month of fasting. News apart, people, however, would watch the Pakistani channels, especially the entertainment and cookery shows because they would culturally relate with it. This was the key factor in the success of Zee Zindagi when it was launched with Pakistani soup operas. Interestingly, neither of the two countries have a reporter in Srinagar. Saudis’ are least interested in Kashmir. Pakistani coverage of Kashmir is based on footage of the world media. Even a deaf in Srinagar knows that news from Pakistani broadcast media needs a revivification for authenticity in Srinagar. But their very rare debates on Kashmir are excellent and hugely watched. This was also a key resource to the political chieftains lacking access to diplomatic cables and frequent foreign office briefings in an era where home security policy is dictating the diplomacy. The idea of banning Pakistani and Sulfi Saudi channels was put forward by a police officer once in a top meeting but was rebuffed. After some time, he found some receptive ears and the idea became a top priority for Delhi. Within 48 hours, the orders were issued. Nobody in the policy circuit could think that the extensive coverage on Kashmir is more on al-Jazeera and Press TV. Banning media, in one or the other form, will get its share of criticism from across the world. UN was just a beginning. But at ground zero, situation is completely different. While the selective virtual world blockades have triggered a sort of “virtual lawlessness” as more and more people are taking recourse to alternatives, the ban on TV channels is being considered as a deliberate attempt to restrict access to faith, especially at a time when Muslims are approaching Ramzan, the month of fasting. There is no indication that locked Facebook and other social websites is somehow helping situation to improve. At the same time, a new threat is looming large on the cable TV in Kashmir. Employing a few thousand young men, the banned channels are the net difference between the dish TV and the cable TV systems. Seemingly, the governance structure is oblivious of the situation. An impression on ground is that PDP government has conceded to the idea of following key decision making on security front with the Home Ministry. Currently, the focus is south Kashmir that is increasingly being projected as a potential crisis. 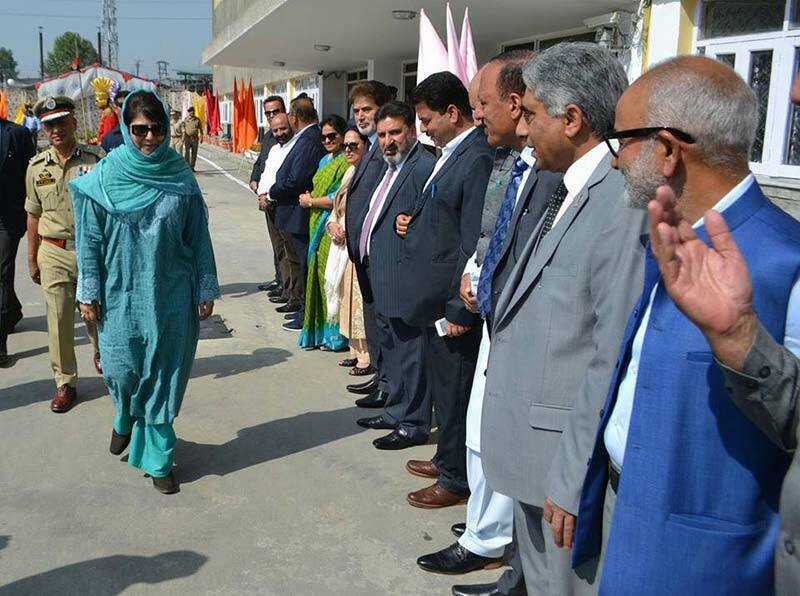 Home Secretary had an overnight visit to Srinagar and most of the time; it was the south Kashmir that was on table. Apart from being the main vote bank of the ruling party, the belt is especially important because the yearly Hindu pilgrimage Amarnath Yatra involves most of it. As always, the central government is keen that the yatra remains incident free. Any tensions could have ramifications on a large scale because it involves BJP’s vote bank. The continued campus unrest is also being seen as an extension of south especially Pulwama, the epicenter of the mess. Though the state government acted against college principal, but the delayed “action” against the police deteriorated the situation. It was only after the Divisional Commissioner submitted his report that the cops were shifted out. By then, however, the tensions had moved right, left and centre. There has not been a college that did not react. The anarchical system of reaction has created a new normal in which the students come to know late in the evening, if they are supposed to attend their classes, next morning. Interestingly, however, the government is exhibiting a great appetite either for “advice” or for accommodating political beings. This trend has frustrated officialdom that was gradually recovering after two chief secretaries were axed in three years. 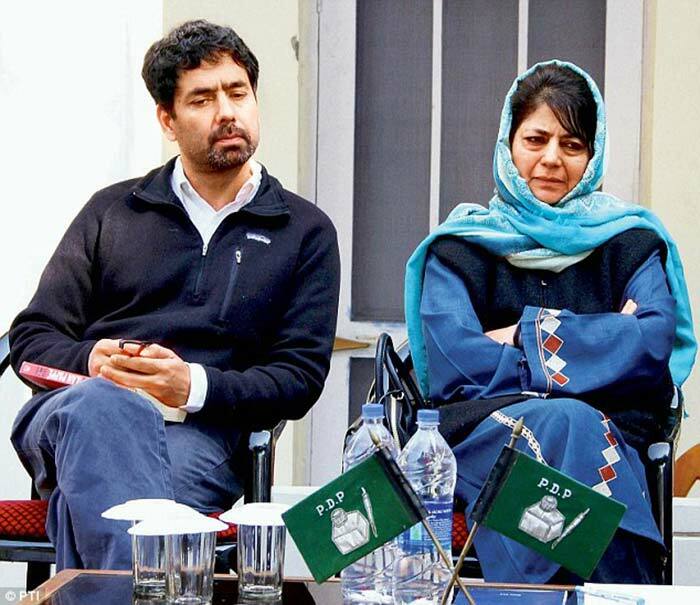 In the most latest decision, the government got in an adviser on infrastructure besides getting filmmaker Tasaduq Mufti, the younger brother of Chief Minister, into the government by giving him charge of Chief Minister’s grievance cell. Tasaduq is the candidate for Lok Sabha from south Kashmir, the election of which was cancelled by the Election Commission after Chief Minister made a special request. The two join the adviser-abundant Chief Minister’s office as the fresh energy. Chief Minister has already two formal advisers, some seniors and many youngsters who function as informal interventions in processes and policy. The fresh appointments have not been taken positively by the party elders. This is being seen a compromise with the status of cabinet, comprising elected politicians. Kashmir Life contacted three senior ministers and all of them claimed their unawareness about the particular decision. “This is the emergence of A team,” one senior minister sarcastically reacted. “We were B team already.” An impression is emerging that Tasaduq’s entry into the government is adding to the politics deficit on ground as he would be more into grievance management now on. Off late, Tasaduq had started talking on vital issues. From the very start when he asked people not to risk their lives for his election to the last interview in which he pointed fingers towards Delhi on various issues, the “reluctant politician” had started making himself count. This could have paved way for filling the gulf which his sister’s elevation to Chief Minister had created. But his decision to join government has devoured this small advantage that situation had created. Those supporting the decision said it has been done for two reasons. Firstly, the opposition NC tried to make a major issue out of his “occasional pleas” for certain deficits he had detected on ground. “Secondly, it would hopefully neutralise the influence of certain self centred people,” one party activist privy of the decision-making said. But getting political beings into the government has not been an exception in case of Tasaduq alone. The government has located all the “crevices” within the non-performing public sector to accommodate the political beings. Newspaper reports suggest these appointments would add up the cots by around Rs 6 crore a year. The government had appointed 14 political workers to various positions in PSUs as vice chairpersons on March 10. With moral code on conduct in place, the Election Commission ordered the decision rollback. After the first phase of polls proved bloody, the second phase of Lok Sabha was cancelled. Now the government made reappointments. In the first go, order for six reappointments was made. Many others are in offing. Even VC are being appointed to institutions the workers of which are waiting for salaries for many months now for lack of resources. Barring a few, most of these PSUs are dependent on budgetary support. Interestingly, some of the VCs, in their brief tenure earlier, had blocked certain decision making on key issues. In this situation where government priorities have a clear mismatch with the ground realities, the governance is expected to be more challenging. B B Vyas, a key bureaucrat who has worked with almost all the Chief Minister’s since 2003, will have to make a tight rope walk in balancing things in coming days. The state is facing a peculiar situation on postings as well. Earlier, districts would have a Muslim DC and a non-Muslim SP or vice versa. After the BJP in its key area of influence ensured a cultural homogeneity in the ruling circuit at executive level, a new J&K emerged in which Muslim officers started ill-affording serving non-Muslim belts. Gradually it was pushed to the next level: a Rajput politician would seek a Rajput officer and a pahari lawmaker would insist for a pahari officer. In one meeting, a cabinet minister from Jammu shocked cabinet by saying he does not want a Muslim officer. This took the diversity debate to a new low forcing PDP to seek its ally’s help at the top. As a test dose, a Muslim officer was posted in a Hindu belt recently. But the situation has seen a new regrouping. Earlier it was IAS versus KAS and IPS versus KPS. With more and more boys and girls entering central services, a new group has made itself present in between the two. Between IAS and KAS is a new group – J&K IAS comprising state subjects in the central services. It exists in police as well. This informal setting operates naturally but will take a bit more time to make itself clearly visible.